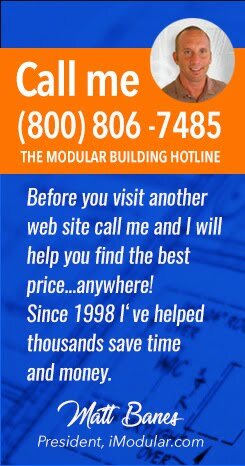 Modular Answers | Can I use a modular classroom on my home property? Browsing the Alabama Area for a Used Classroom Double Wide for a personal project.Game Room Etc. Ok...this is tricky because classrooms are designed and built to meet commercial building codes (educational codes actually). I would first check with your zoning or planning department so you don't run into any problems in the future. If this is not a concern it would be best to look on Craig's List or eBay and find someone willing to sell you a cheap modular classroom without any liabilities. iModular Guest: Ok Thanks I will check with the building department.